1) How can someone get started finding workamping jobs? 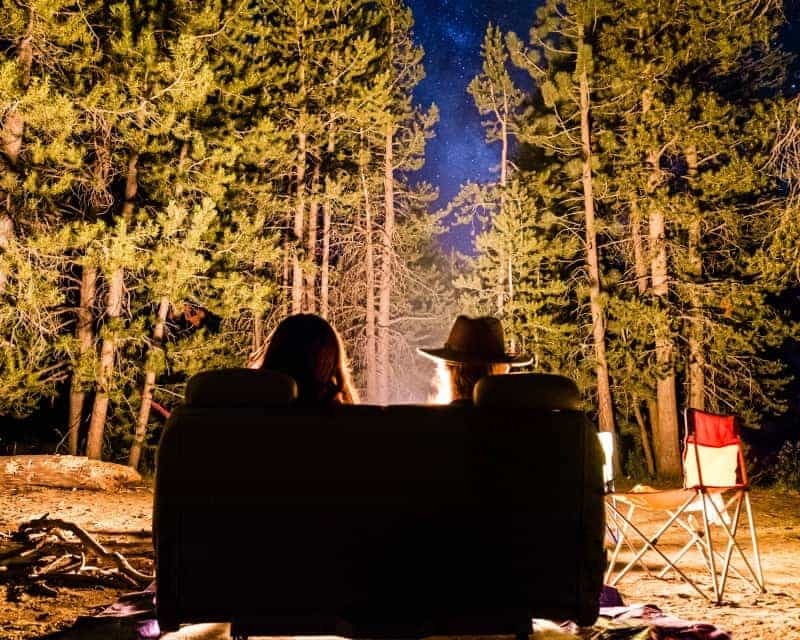 You get started as a workamper by making the decision to live the full-time RV lifestyle and work (typically part-time) in exchange for your RV site and often utilities and other amenities too. Now ….. once you’ve made the DECISION then come the jobs. Although networking with other RVers is a great way to find workamping jobs, in the beginning, one needs to search online for available positions. Some workamping jobs are “all hours paid” jobs , while others (like hosting at a state park), are 15-20 hours per week in exchange for that site. All the jobs and all the benefits are different, so you need to start looking and reading online. Soak up all you can … not only about workamping jobs posted, but also read about others’ experiences and what to look out for. It’s not all roses and sunshine. Some parks expect too much from a workamper and some managers can be miserable people to work for. Here are some of the sites to look at that we use. workampernews.com has a free portion and a paid membership for about $40 and it’s WELL worth it. They have a SUPER resume building function on their site that you can use and post so as employers look on their site they can see your resume. What are the positives and negatives of being a workamper? The big positive to workamping jobs (or hosting) is that you generally work a minimal amount of hours in exchange for your site and electric, water, sewer. So, you live rent free by working 10-12 hours (each) per week and you have the rest of the time to do whatever you want. No more 40 hour weeks, unless you want them … then you work at a park that gives you the site and pays you for any hours OVER the required time for exchange. The big negative is that you generally make a commitment for the season. If you get there and it’s not what you expected, then YES you can leave but you DID make a commitment to work for them for a given period of time. So you have to weigh the situation. If you want to put this place on your resume then maybe you’ll just want to tough it out as a workamper until the end. If you were just paying rent, you could leave anytime you want and not feel bad about it. What’s it like being a workamper? Our first experience with workamping jobs was at a small private RV park in central Arizona. There were three couples and we each took two days. Our two days were Friday and Saturday to work. 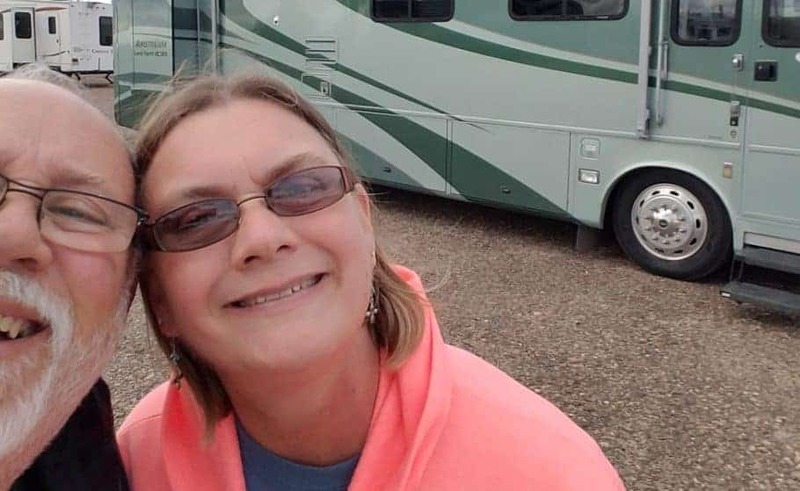 Kathy worked in the office answering the phone, taking reservations, checking people in, delivering mail to the sites, taking electric meter readings, cleaning the office inside and out and cleaning the bathrooms and laundry room daily. I worked outside cutting grass, emptying trash cans, helping new arrivals get parked, raking leaves, repairing any broken water spigots or electric pedestals and just general small jobs. Our second experience with workamping jobs was at another private RV park in west central Michigan, not too far from Lake Michigan. This park is about 100 sites and all the sites are owned by individuals. It’s a “condo” park. There is an association (with dues) and the park is beautifully maintained. Most residents leave their rigs there all summer and they come up from “the city” on weekends to relax and party. The park has wide asphalt streets and all concrete pads. All the sites boast towering oak trees that provide ample shade. There is no office, no phone to answer for reservations and no transient campers to park. Kathy’s job was to clean the bathrooms daily and mine to maintain the pool and hot tub daily. We worked about 2-3 hours each morning for seven days straight, then the other workamper couple took over for the next seven days. Wonderful park, with wonderful and generous members and we made some good friends there. They asked us to come back in 2018, (and Kathy really like the daily water aerobics) … so we’ll be going back for one more year of workamping. What is one bad experience you’ve had as a workamper? Our third (and most recent experience) was not so good. We had made a commitment for three months and we stuck it out. Kathy worked in the office for a grumpy lady and that made her experience not so much fun. I worked outside mostly raking leaves … pretty boring (and tiring). The park is not in very good shape and although there were plenty of other projects that the workamper couples could be doing (like painting, installing new bathroom flooring or any number of other small jobs) it became apparent quickly that management was not interested in spending any money to maintain, let alone improve. What have you loved best about workamping jobs? The high spot of any workamping job is what you make of it. We find that making new friends really helps and so we try to attend any social events that the park might have. Maybe it’s dinners, bingo, coffee hours, ice cream social, or anything else. 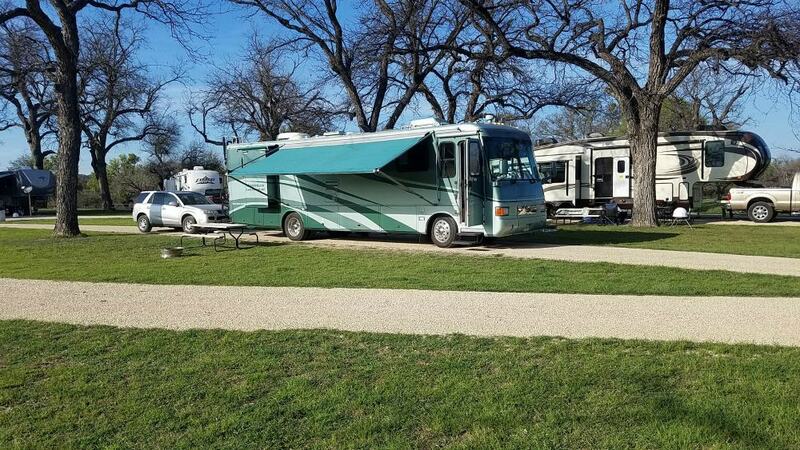 We have fun meeting new folks and sharing our experiences of living the full-time RV lifestyle. Will you continue workamping your way across the U.S.? For the foreseeable future – we will continue finding workamping jobs. We enjoy having something to keep us busy a few hours a week and enjoy the few MORE hours per week we have to ourselves in exchange for site and utilities. 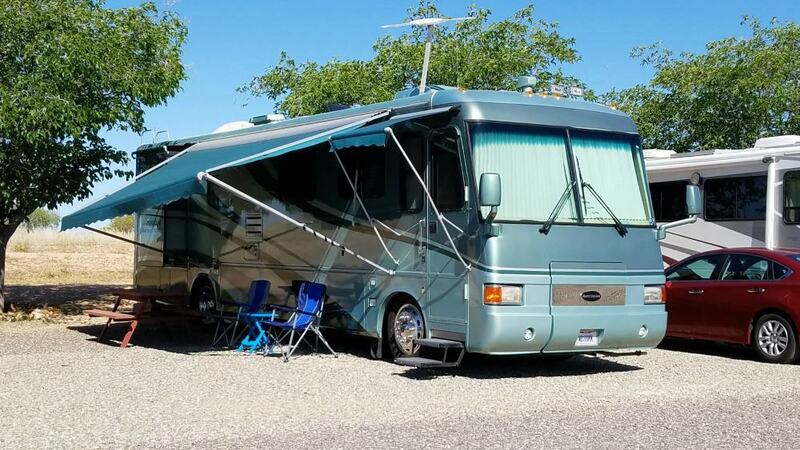 We just acquired an RV lot in Casa Grande, AZ and so we will go there and hang out in fall of ’18, but very likely look for a summer gig in the northwest party of the country. We need to spend some time in the Dakotas, Wyoming, Montana, Idaho, Utah, Colorado, Oregon and Washington state. How else do you bring in income while fulltime RVing? Although many folks utilize the internet to provide income through writing blogs, books, or publishing videos, we are “retired” and so are able to live comfortably from our pensions, social security, and a small annuity without having to dip into our savings. We also own four rental homes back in Ohio that my son-in-law manages for us, but we are not having to use any of the income from those at this time. We sold our home (to our daughter and son-in-law) and gave them most of our possessions. What they didn’t want, we sold on Facebook Garage Sale Groups and threw away the rest. When we decide we’ve had enough of this lifestyle, we MAY move back to Ohio and evict the renter from one of our rental units, or more likely we’ll find a warmer spot and just use the income from the rentals to buy another sticks n’ bricks house.